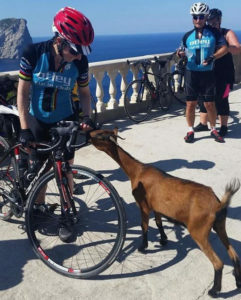 The mountain goat rides are for club members only and are organised mainly via our closed Mountain Goats Facebook group. 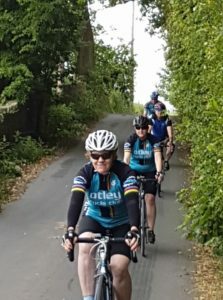 The rides are designed for competent riders who are able to complete a 10 mile hilly circuit in about an hour without needing to stop to pick up their lungs!! 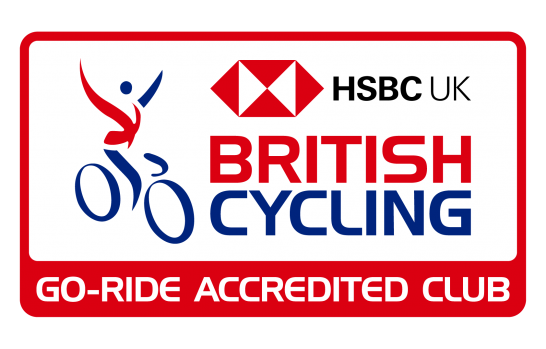 We are not super speedy, we enjoy taking in the views and are very supportive and encouraging of anyone who is determined to improve their hill climbing. After a few weeks you will be finding the hills much more fun! 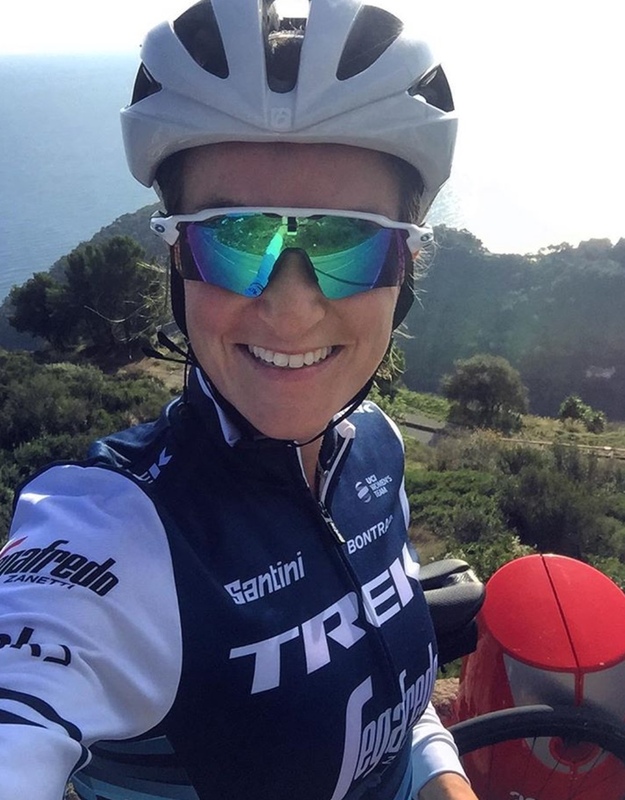 The rides are between 30 to 50 miles in general, with the climbing varying between 2,500 feet or over 5,000 feet. The rides always feature a coffee stop and plenty of chatting on the ride so you will barely notice the hills. We all share the responsibility for coming up with ideas and routes for our rides and for hosting the ride. We sometimes break into smaller groups when we have a bigger turnout and tend to ride in mixed ability groups so we can share the encouragement and love for the hills. We will usually have an equal mix of women and men on the rides and the age profile of our group is very mixed..it is all about a shared love for hills and pretty back roads, away from the traffic! 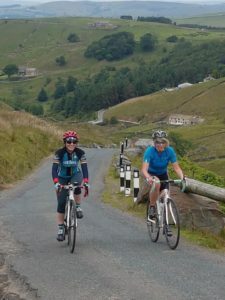 Our routes tackle many of the local climbs such as East and West Chevin, Norwood Edge, Cow and Calf and we also organise rides that start beyond Otley so we can add to our collection of Top 100 Climbs. 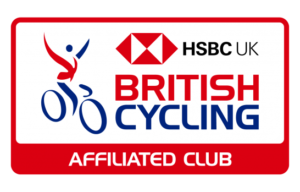 We welcome new club members onto our rides and many people have joined the club so that they can come out on these rides having heard about them from their friends. Usually we meet at the Buttercross at 9.00 for a 9.15 departure on Thursdays and Saturdays – but we do vary the time and meeting place so most riders use the Facebook group to keep in touch or we send a weekly update email to non Facebook users.